FREE Movies From Redbox And 7-11! You are here: Home / FREEbies / FREE Movies From Redbox And 7-11! 7-11 and Redbox have teamed up together to bring you FREE movies and giveaways! “It’s the summer of Redbox – helping families beat the heat with FREE movies and giveaways. Throughout the month of July, Redbox has teamed up with 7-11. 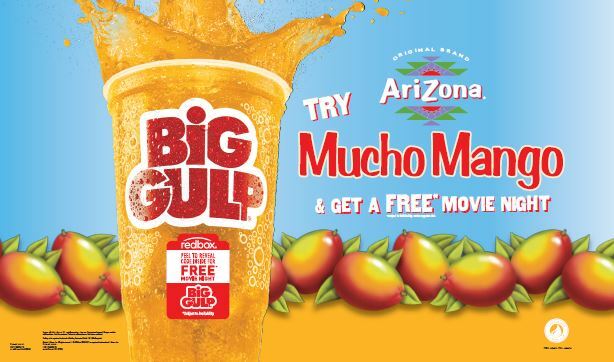 With the purchase of a Big Gulp, customers will score a FREE movie rental! Simple as that- quench your thirst and watch a flick for FREE. And in August, you can reserve rentals to automatically be entered to win a $500 Visa gift card…every day of the month! Someone will win each day!